Its historical presence hasn’t just transformed the world of fashion, but it has also converted itself into a fabric worthy of appreciation in all of its forms. Its complex construction and those patterns formed by intricate embroidery speak of the power that lace continues to have in the bridal world. Now, we invite you to adapt this classic style from start to finish at your wedding, all thanks to a fabric that shines with its own splendour and with a unrivaled grace. 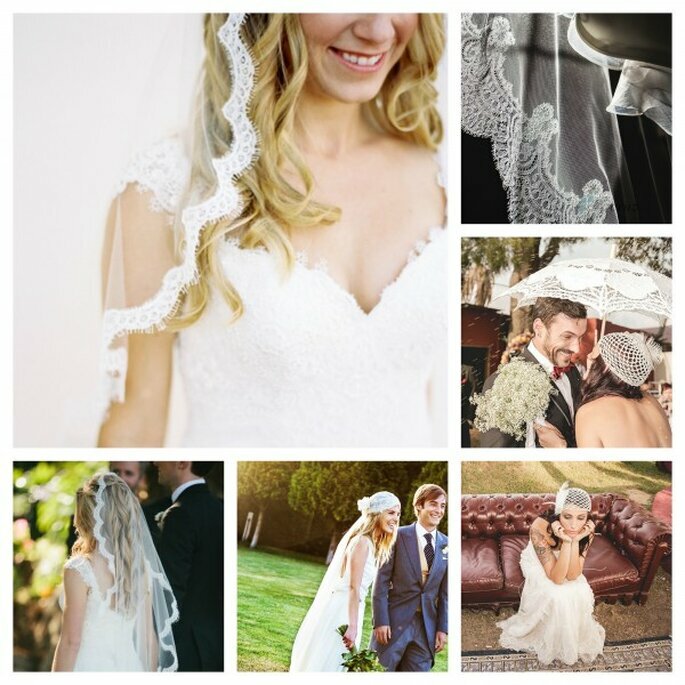 Get to know the beauty of lace and how to incorporate it into your wedding day. The birth of lace is set around the XVI century, an era where handcrafted products took on an important strength in the form of all types of ready made dresses. This great fabric, in its majority, is distinguished at a distance by the shape of geometric patterns that are highlighted within, although what also stands out is the inspirations that are inspired themselves in nature. Flowers in particular, have magnified their joining with this precious fabric, making it quite clear that art and fashion are always intertwined. 1.- Lace in your bridal look: This incredible fabric has become an indispensable ally for brides that are romantic, dreamy and with a free spirit. Precisely for this reason, incorporating lace into your style is fundamental, whether it’s in your dress, your shoes, in your hairpiece, or in your veil. Remember to keep your eyes peeled, as you can also find its beautiful textures and patterns on complementary accessories and shoes. 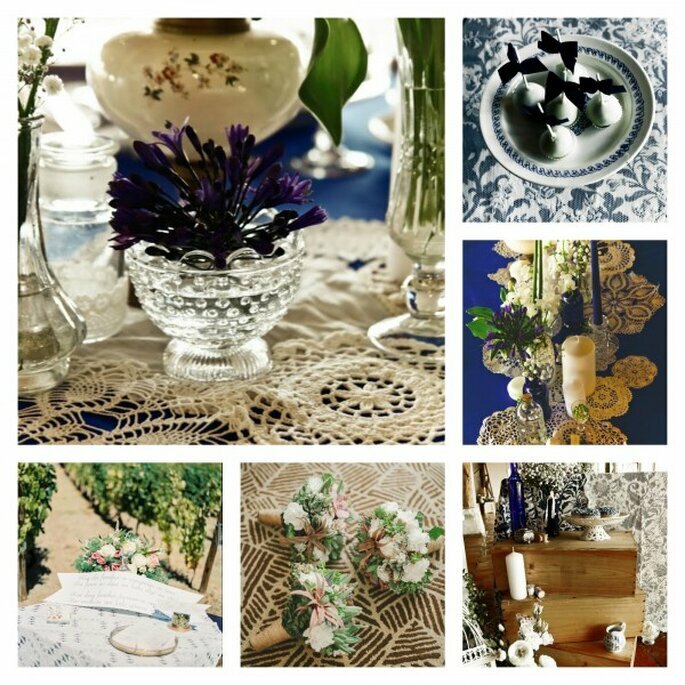 2.- Beautiful lace patterns on your table setting: Decoration is a fundamental part of any wedding setting, and it’s not just about choosing the correct range of colours, but it also needs to be complemented with a selection of fabrics to create that perfect harmony. Lace, for example, can be used on table linens (table runners), likewise in the small details that complement your desired look. 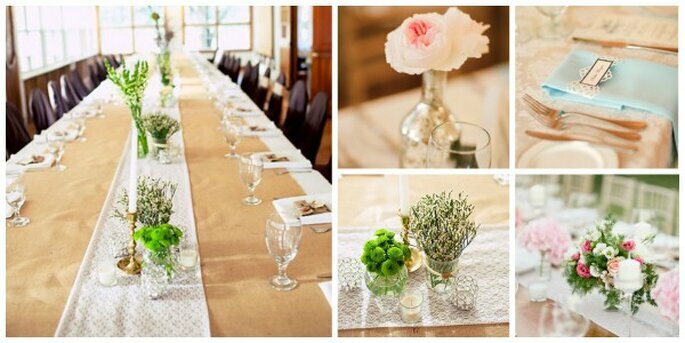 Napkins and a lace print on your menus can be a great way to accompany the whole atmosphere of your day. 3.- A wedding cake made of lace? There is no doubt that this will be an absolute show stopper at any wedding. The best thing about this versatile fabric is that its patterns and intricate embroidery have now arrived in the wonderful world of confectionery made with exquisite ingredients. There are hundreds of ways to incorporate this fabric, and we’re sure that these images will give you all the inspiration that you need. 4.- Guests wearing lace: Is that allowed? Of course! 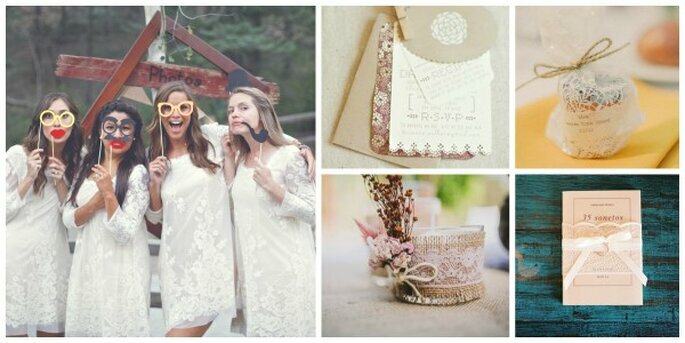 You could announce in your wedding invitations that everyone must wear or carry an accessory made of lace. 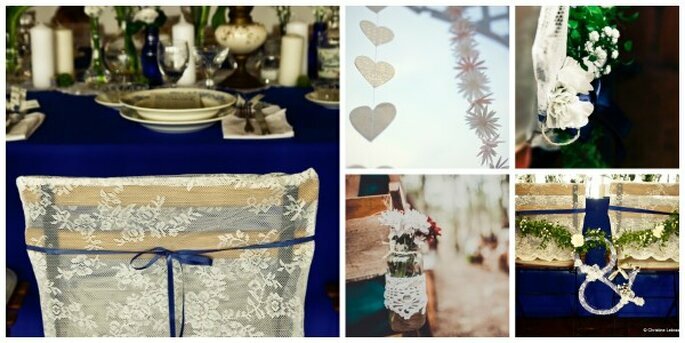 You could even include lace in your wedding favours. Jars of homemade jam wrapped in lace, table centrepieces, candles, table plans, and so much more! When it comes to lace, everything is possible! 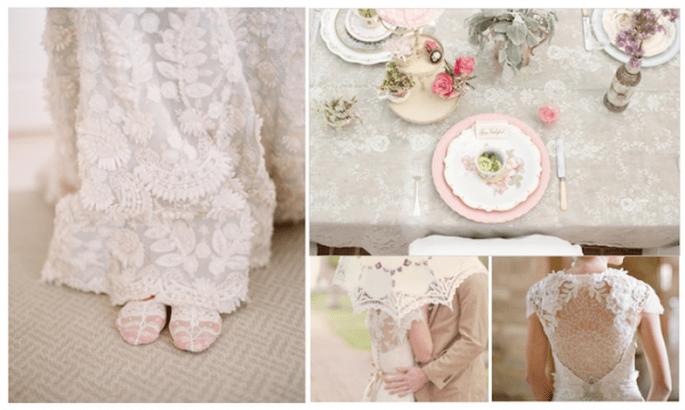 Now you know exactly how to include delicate lace into your wedding. Be inspired and imagine all of those unique details that you can adapt with the presence of this amazing fabric. Planning a civil ceremony? Here are some ideas for an essential space in your big day - your wedding altar.